Gearing up for Run for the Cure! Hendry Warren staff members will be showing their support in Run for the Cure! 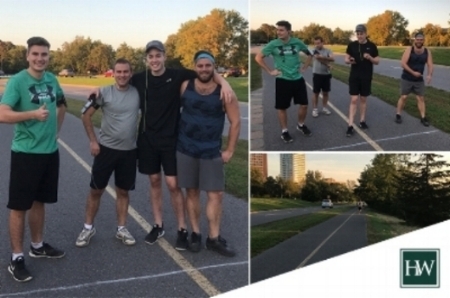 A few of our accountants partook in some healthy competition to train for the run. Our first place runner, Spencer, ran 5k in 24 minutes and 20 seconds. We hope to see you at the run on Sunday, October 1st! Tax Planning Using Private Corporations: A Fair Proposal?